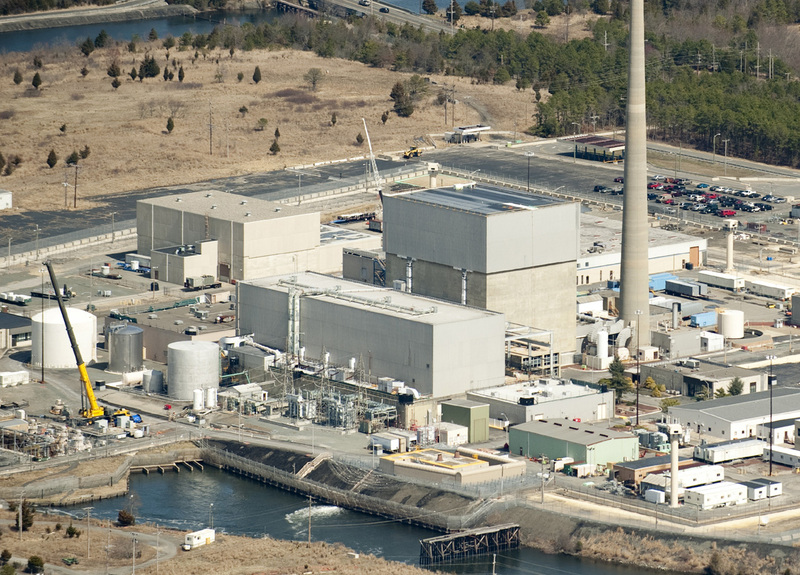 LACEY TOWNSHIP, N.J.  Federal regulators have been working closely with the nuclear power industry to keep the nation's aging reactors operating within safety standards by repeatedly weakening those standards, or simply failing to enforce them, an investigation by The Associated Press has found. The result? Rising fears that these accommodations by the NRC are significantly undermining safety  and inching the reactors closer to an accident that could harm the public and jeopardize the future of nuclear power in the United States. Examples abound. When valves leaked, more leakage was allowed  up to 20 times the original limit. When rampant cracking caused radioactive leaks from steam generator tubing, an easier test of the tubes was devised, so plants could meet standards. Failed cables. Busted seals. Broken nozzles, clogged screens, cracked concrete, dented containers, corroded metals and rusty underground pipes  all of these and thousands of other problems linked to aging were uncovered in the AP's yearlong investigation. And all of them could escalate dangers in the event of an accident. "That's what they say for everything, whether that's the case or not," said Demetrios Basdekas, an engineer retired from the NRC. "Every time you turn around, they say 'We have all this built-in conservatism.'" Last year, the NRC weakened the safety margin for acceptable radiation damage to reactor vessels  for a second time. The standard is based on a measurement known as a reactor vessel's "reference temperature," which predicts when it will become dangerously brittle and vulnerable to failure. Over the years, many plants have violated or come close to violating the standard. As a result, the minimum standard was relaxed first by raising the reference temperature 50 percent, and then 78 percent above the original  even though a broken vessel could spill its radioactive contents into the environment. "We've seen the pattern," said nuclear safety scientist Dana Powers, who works for Sandia National Laboratories and also sits on an NRC advisory committee. "They're ... trying to get more and more out of these plants." The AP collected and analyzed government and industry documents  including some never-before released. The examination looked at both types of reactor designs: pressurized water units that keep radioactivity confined to the reactor building and the less common boiling water types like those at Fukushima, which send radioactive water away from the reactor to drive electricity-generating turbines. AP reporting teams toured some of the oldest reactors  the unit here at Oyster Creek, near the Atlantic coast 50 miles east of Philadelphia, and two units at Indian Point, 25 miles north of New York City along the Hudson River. Called "Oyster Creak" by some critics because of its aging problems, this boiling water reactor began running in 1969 and ranks as the country's oldest operating commercial nuclear power plant. Its license was extended in 2009 until 2029, though utility officials announced in December that they'll shut the reactor 10 years earlier rather than build state-ordered cooling towers. Applications to extend the lives of pressurized water units 2 and 3 at Indian Point, each more than 36 years old, are under review by the NRC. Unprompted, several nuclear engineers and former regulators used nearly identical terminology to describe how industry and government research has frequently justified loosening safety standards to keep aging reactors within operating rules. They call the approach "sharpening the pencil" or "pencil engineering"  the fudging of calculations and assumptions to yield answers that enable plants with deteriorating conditions to remain in compliance. "Many utilities are doing that sort of thing," said engineer Richard T. Lahey Jr., who used to design nuclear safety systems for General Electric Co., which makes boiling water reactors. "I think we need nuclear power, but we can't compromise on safety. I think the vulnerability is on these older plants." Added Paul Blanch, an engineer who left the industry over safety issues but later returned to work on solving them: "It's a philosophical position that (federal regulators) take that's driven by the industry and by the economics: What do we need to do to let those plants continue to operate? They somehow sharpen their pencil to either modify their interpretation of the regulations, or they modify their assumptions in the risk assessment." In public pronouncements, industry and government say aging is well under control. "I see an effort on the part of this agency to always make sure that we're doing the right things for safety. I'm not sure that I see a pattern of staff simply doing things because there's an interest to reduce requirements  that's certainly not the case," NRC chairman Gregory Jaczko said in an interview at agency headquarters in Rockville, Md. Neil Wilmshurst, director of plant technology for the industry's Electric Power Research Institute, acknowledged that the industry and NRC often collaborate on research that supports rule changes. But he maintained that there's "no kind of misplaced alliance ... to get the right answer." The AP reviewed 226 preliminary notifications  alerts on emerging safety problems  issued by the NRC since 2005. Wear and tear in the form of clogged lines, cracked parts, leaky seals, rust and other deterioration contributed to at least 26 alerts over the past six years. Other notifications lack detail, but aging also was a probable factor in 113 additional alerts. That would constitute up to 62 percent in all. For example, the 39-year-old Palisades reactor in Michigan shut Jan. 22 when an electrical cable failed, a fuse blew, and a valve stuck shut, expelling steam with low levels of radioactive tritium into the air outside. And a one-inch crack in a valve weld aborted a restart in February at the LaSalle site west of Chicago. One 2008 NRC report blamed 70 percent of potentially serious safety problems on "degraded conditions." Some involve human factors, but many stem from equipment wear, including cracked nozzles, loose paint, electrical problems, or offline cooling components. Confronted with worn parts that need maintenance, the industry has repeatedly requested  and regulators have often allowed  inspections and repairs to be delayed for months until scheduled refueling outages. Again and again, problems worsened before they were fixed. Postponed inspections inside a steam generator at Indian Point allowed tubing to burst, leading to a radioactive release in 2000. Two years later, cracking was allowed to grow so bad in nozzles on the reactor vessel at the Davis-Besse plant near Toledo, Ohio, that it came within two months of a possible breach, the NRC acknowledged in a report. A hole in the vessel could release radiation into the environment, yet inspections failed to catch the same problem on the replacement vessel head until more nozzles were found to be cracked last year. In a 2009 letter, Mario V. Bonaca, then-chairman of the NRC's Advisory Committee on Reactor Safeguards, warned that this approach represents "a decrease in the safety margin" and makes a fuel-melting accident more likely. At Fukushima, hydrogen explosions blew apart two of six containment buildings, allowing radiation to escape from overheated fuel in storage pools. Many photos in NRC archives  some released in response to AP requests under the federal Freedom of Information Act  show rust accumulated in a thick crust or paint peeling in long sheets on untended equipment at nuclear plants. Other breakdowns can't be observed or predicted, even with sophisticated analytic methods  especially for buried, hidden or hard-to-reach parts. Industry and government reports are packed with troubling evidence of unrelenting wear  and repeated regulatory compromises. It hasn't worked well enough. Even with last year's weakening of the safety margins, engineers and metal scientists say some plants may be forced to close over these concerns before their licenses run out  unless, of course, new compromises with regulations are made. But the stakes are high: A vessel damaged by radiation becomes brittle and prone to cracking in certain accidents at pressurized water reactors, potentially releasing its radioactive contents into the environment. Many plants have found they could not adhere to the general standard allowing each of these parts  known as main steam isolation valves  to leak at a rate of no more than 11.5 cubic feet per hour. In 1999, the NRC decided to permit individual plants to seek amendments of up to 200 cubic feet per hour for all four steam valves combined. Corroded piping: Nuclear operators have failed to stop an epidemic of leaks in pipes and other underground equipment in damp settings. The country's nuclear sites have suffered more than 400 accidental radioactive leaks during their history, the activist Union of Concerned Scientists reported in September.